Education in Rajasthan, Rajasthan Higher Secondary Education, Rajasthan Education. Rajasthan reminds us about dessert and camel. But apart from these, there are residents in the particular state who wish to get proper education for them as well as their children. Thus, a proper effort from the part of government is required to get education in Rajasthan. In news papers as well as magazines we have come to know various facts with regards to people in Rajasthan. Due to lack of literacy, many villages of Rajasthan have serious problem with regards to girl child birth. But, fight by NGOs and social workers have improved the condition of education in Rajasthan. The education system is instantly changing as and when various initiatives have been taken by the Government of Rajasthan. Government is working really hard not to include gender disparity in education. With an improvement of education in Rajasthan gender disparity have reduced. Today more and more students are getting their enrolment in schools as well as colleges. Promotion of education has reduced gender disparity to a major level. Various policies and programs have been implemented in various parts of the state to induce education in Rajasthan. The rate of literacy has been a leap for the last ten years. In the year 1991, the literacy rate in Rajasthan was only 38% but in the year 2001, it grew to 61%. This is a real success for the government of Rajasthan. This improvement in literacy rate is due to a wonderful effort in the primary education in Rajasthan. Today, people are making a wonderful attempt in getting education from the elementary level. Age must not be a barrier for education. Education in Rajasthan has got a great improvement in the last few years. It is really amazing to note that, state of Rajasthan has 41 engineering colleges. Even the enrolment in such colleges is around 11,500 students. Also there are 52 industrial training institutes. Polytechnic colleges are also available in ample. 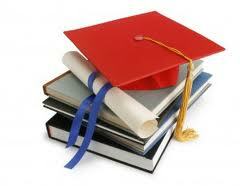 Education in Rajasthan with regards to higher education is having a better impact on the state and literacy rate.